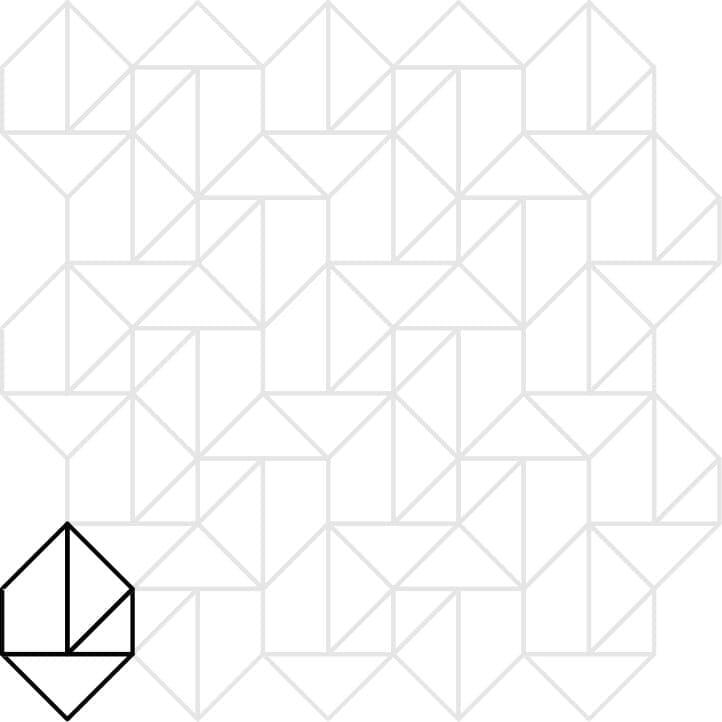 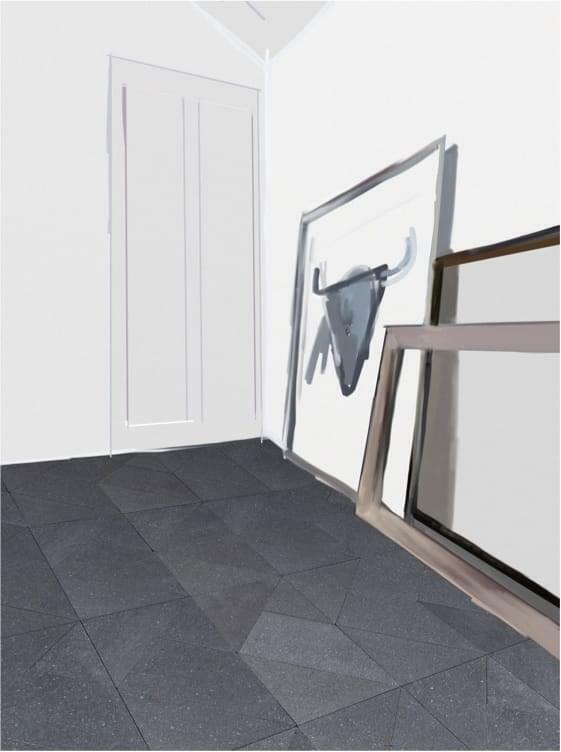 Multiplem draws inspiration from a single square, deconstructed to create four different shapes, three triangles and a trapezoid. 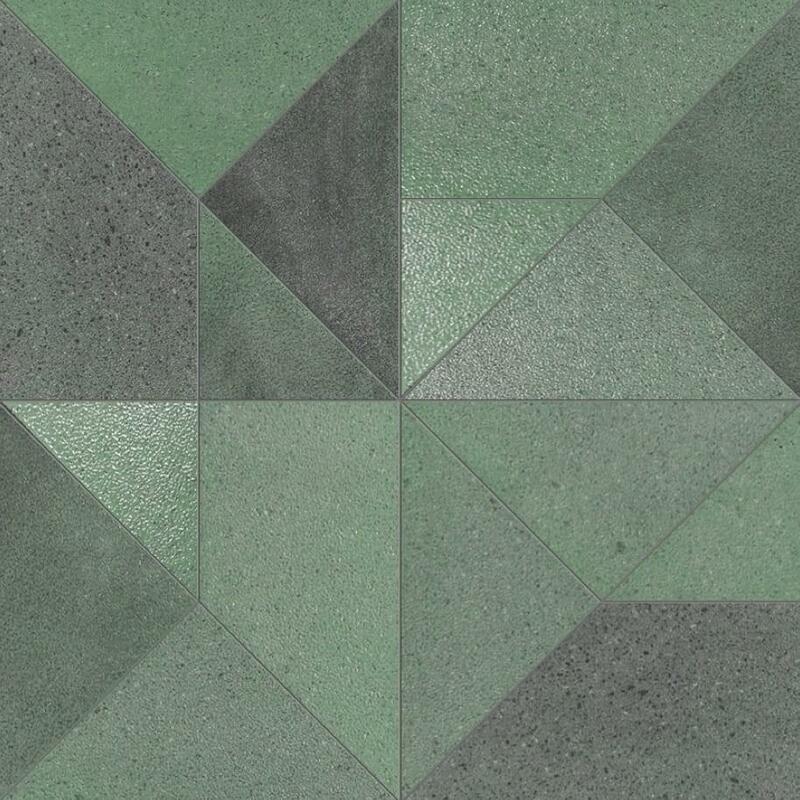 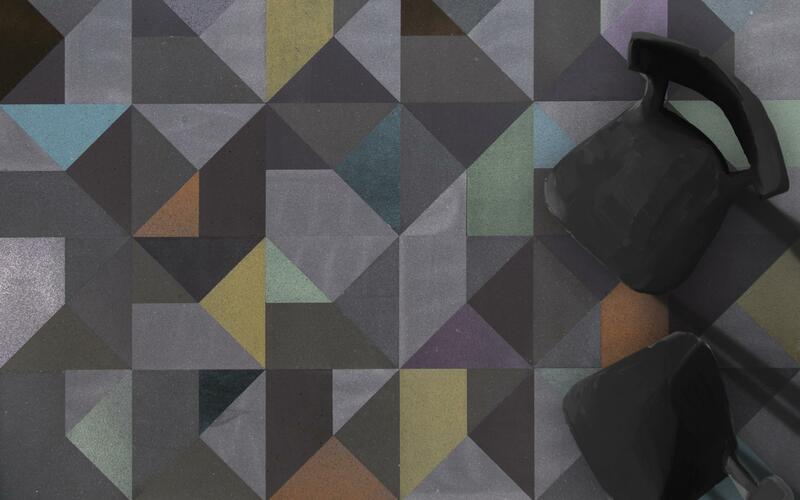 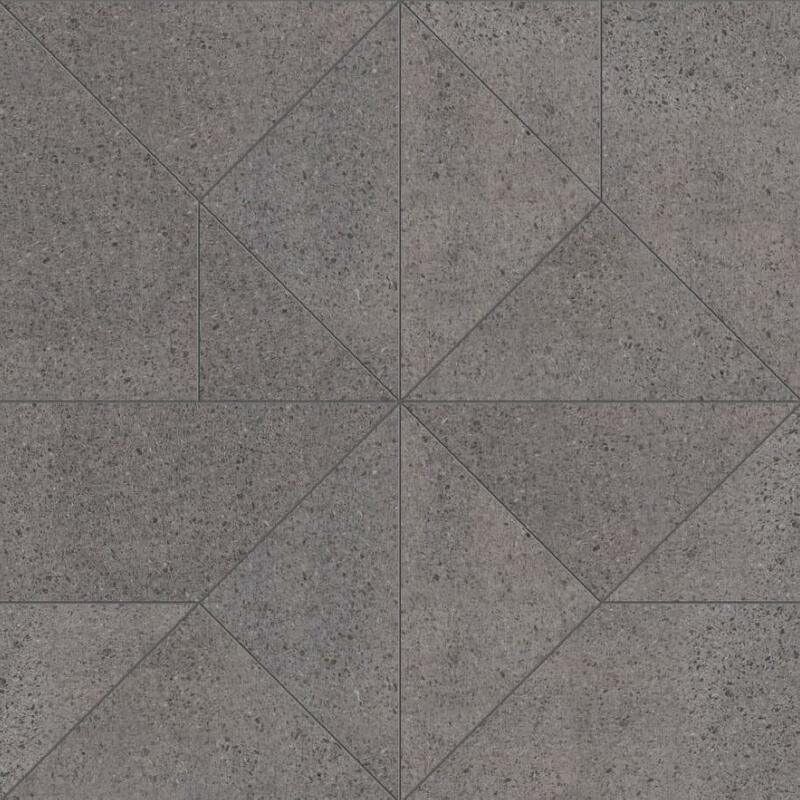 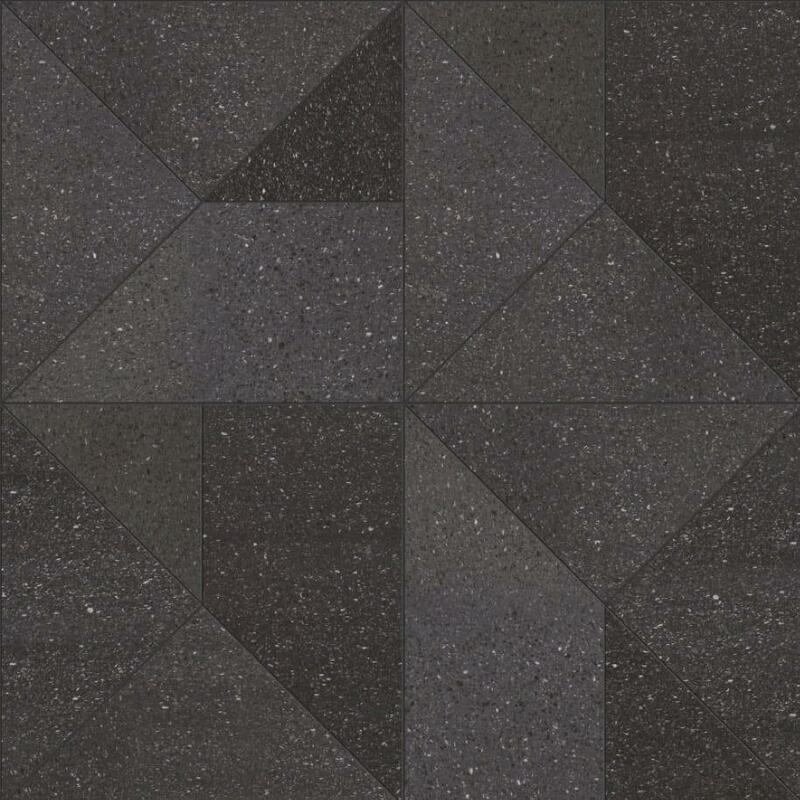 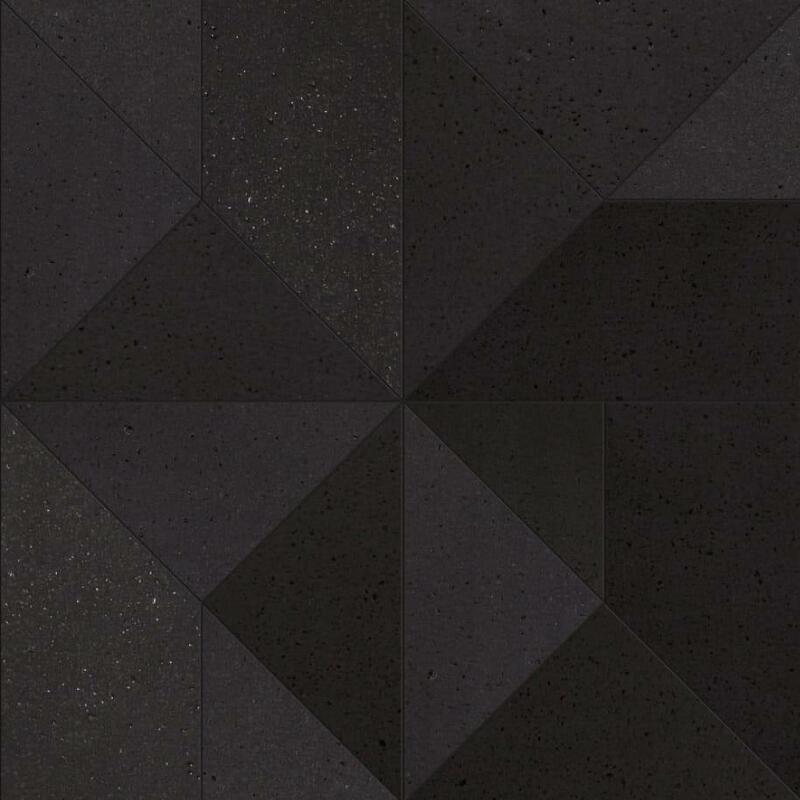 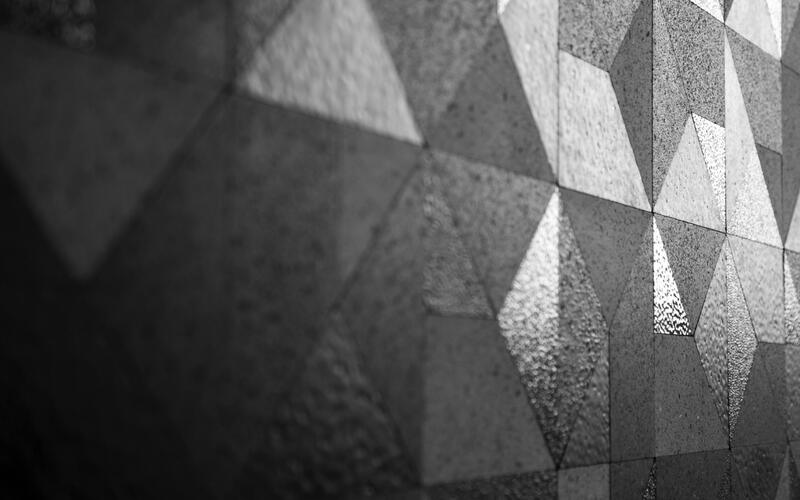 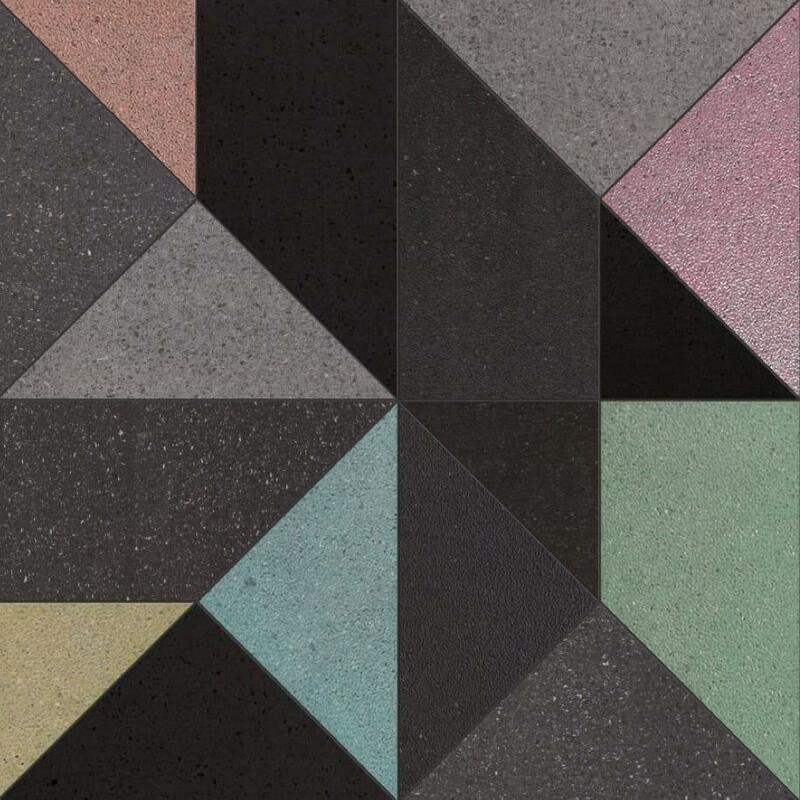 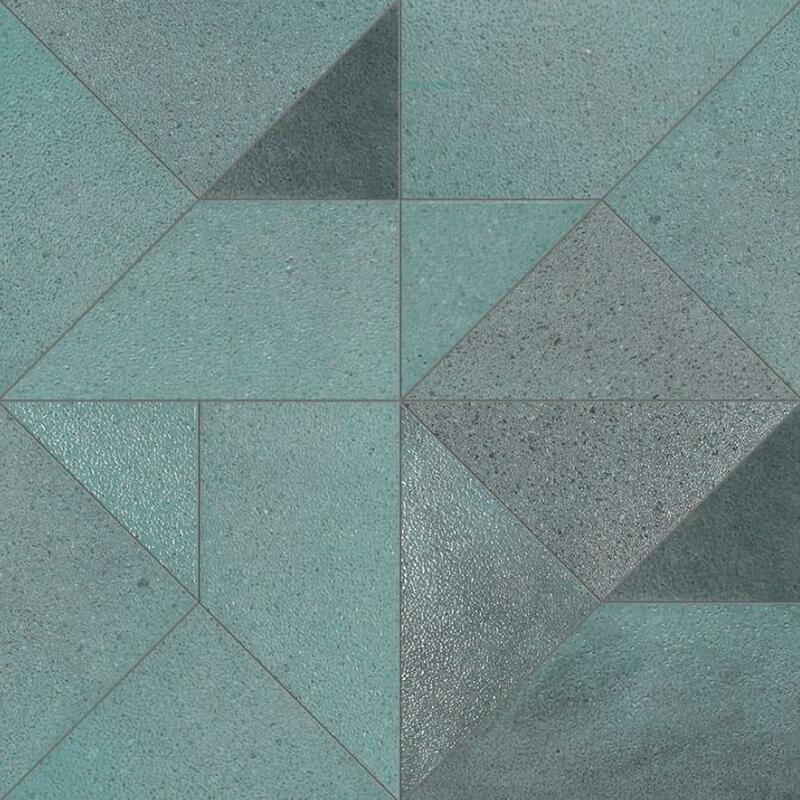 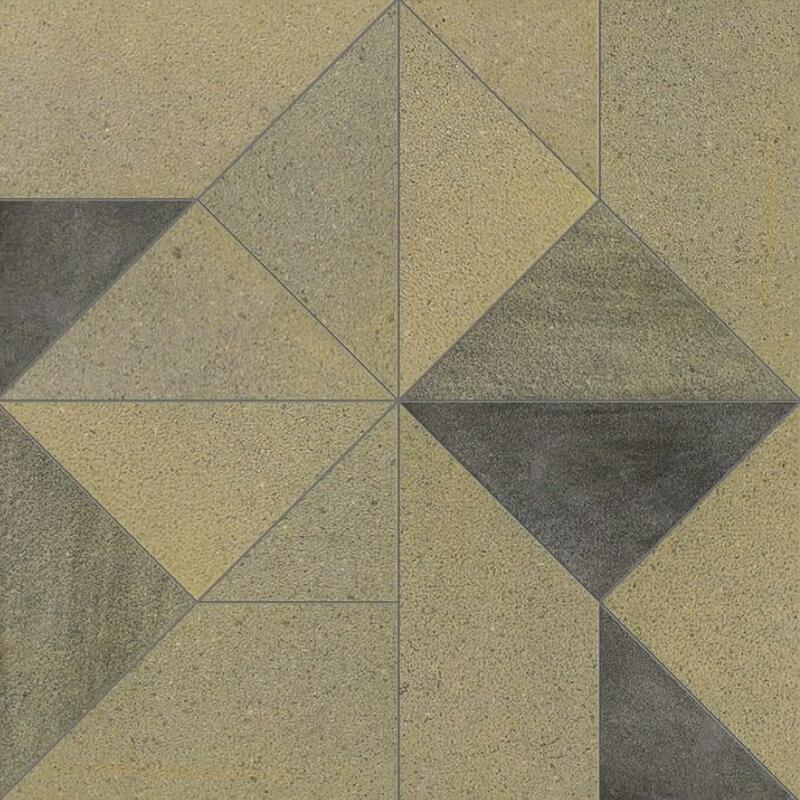 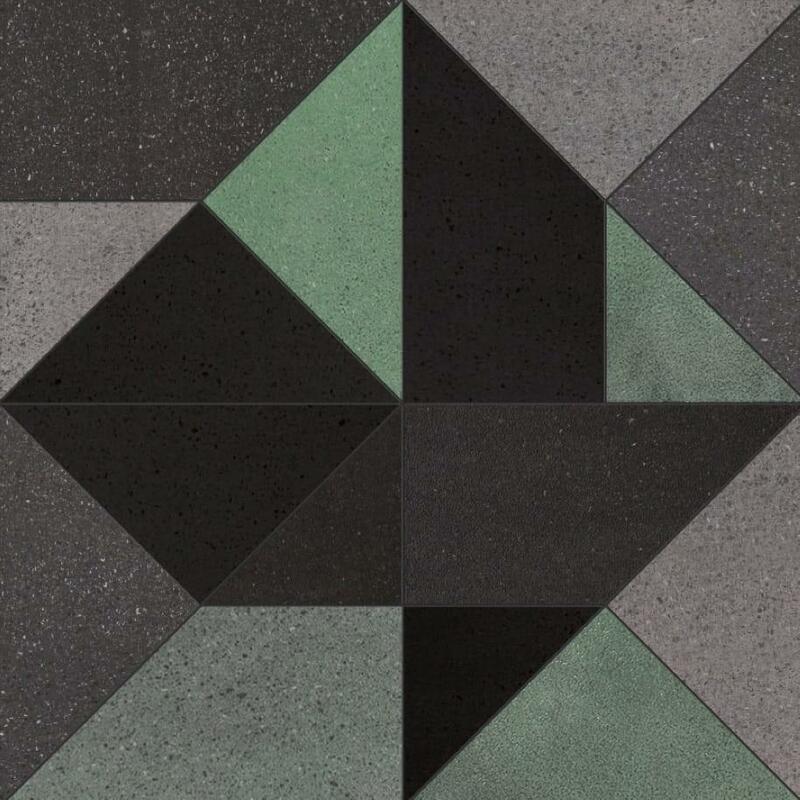 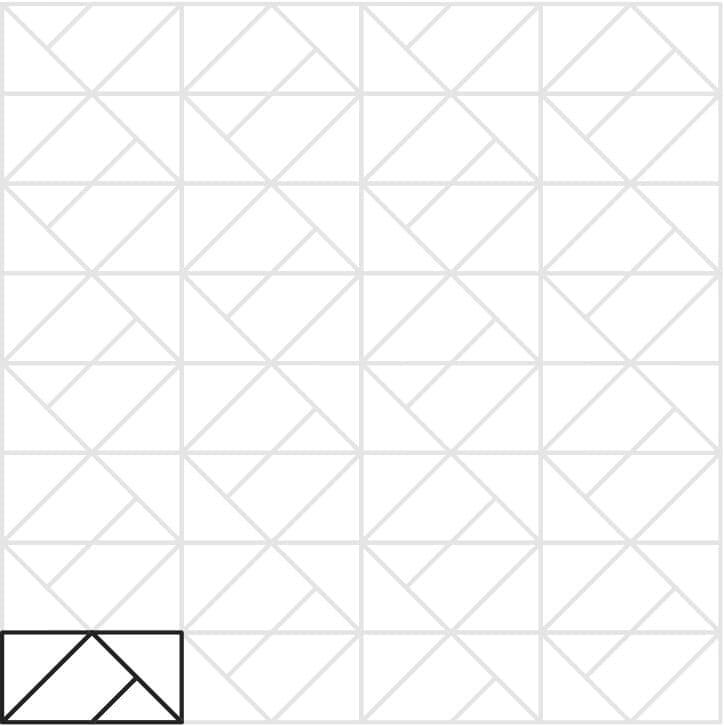 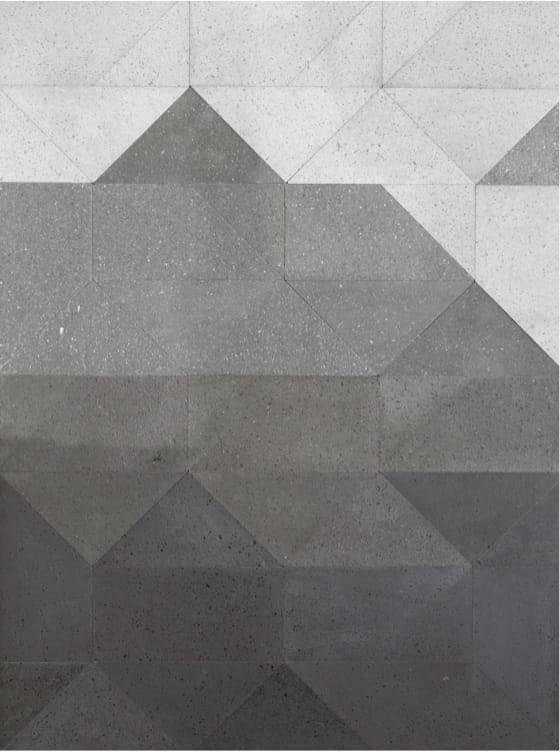 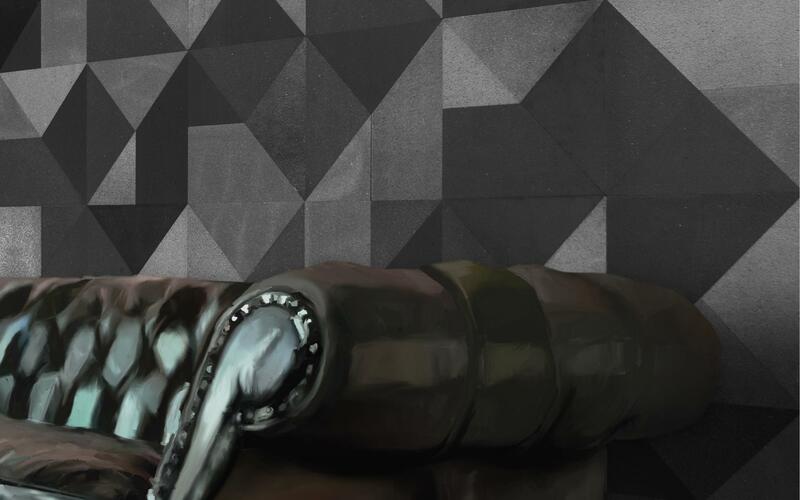 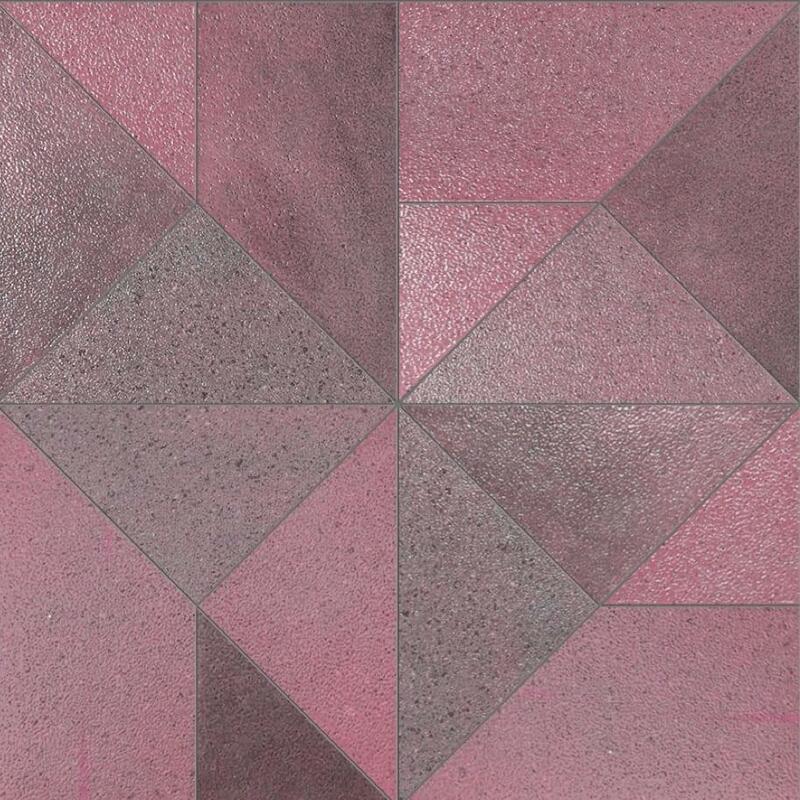 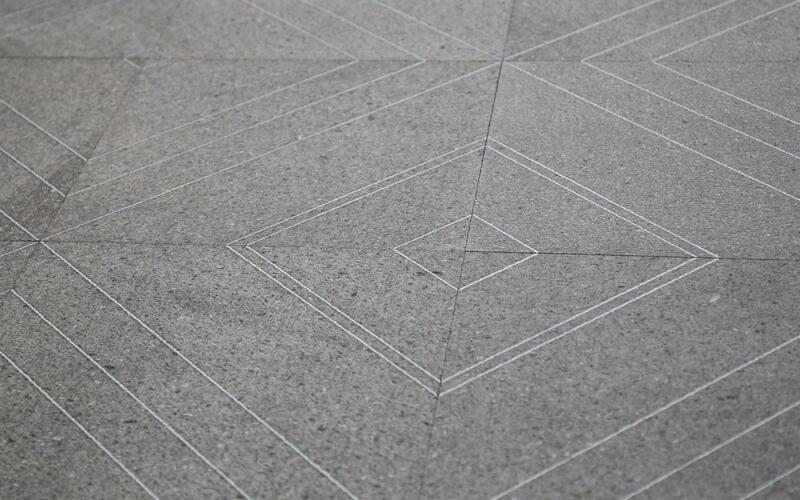 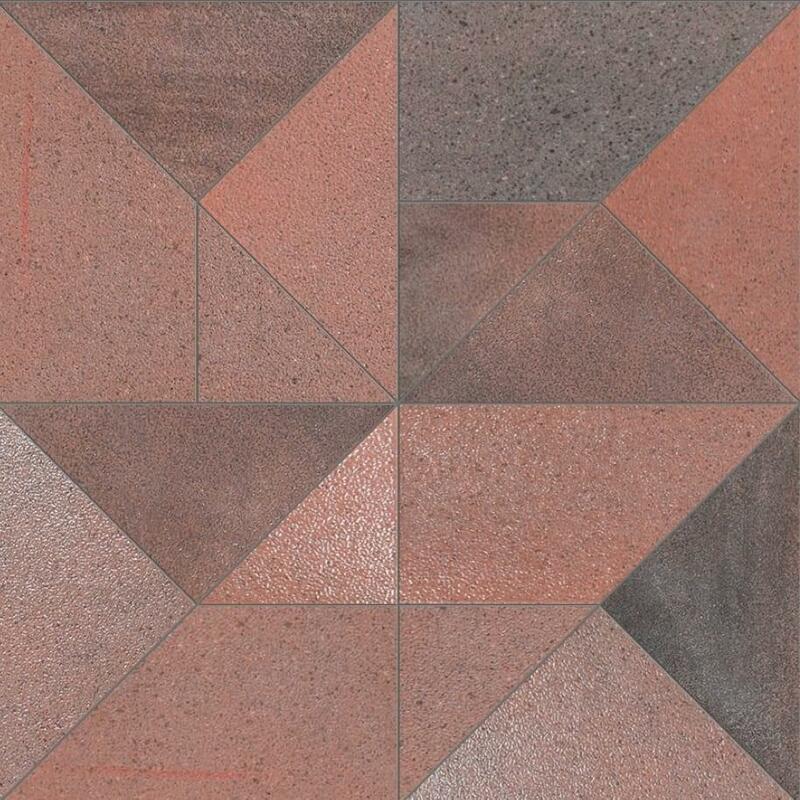 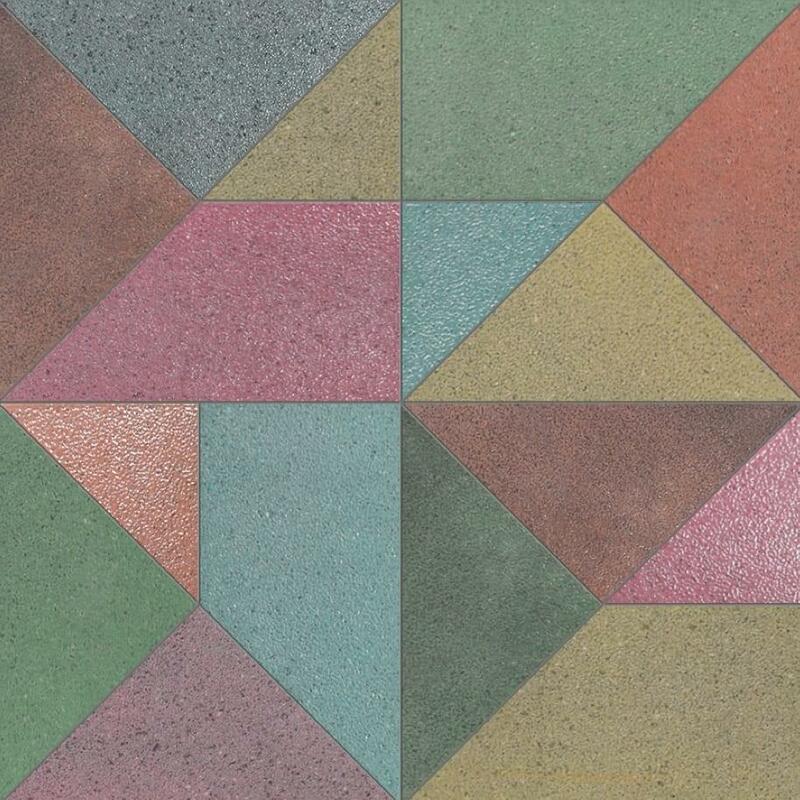 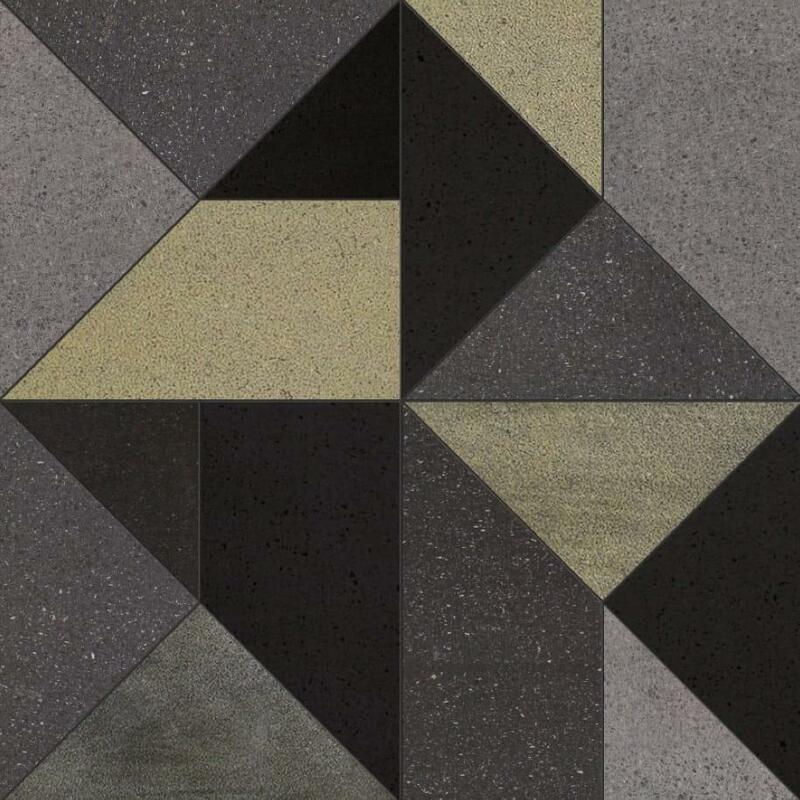 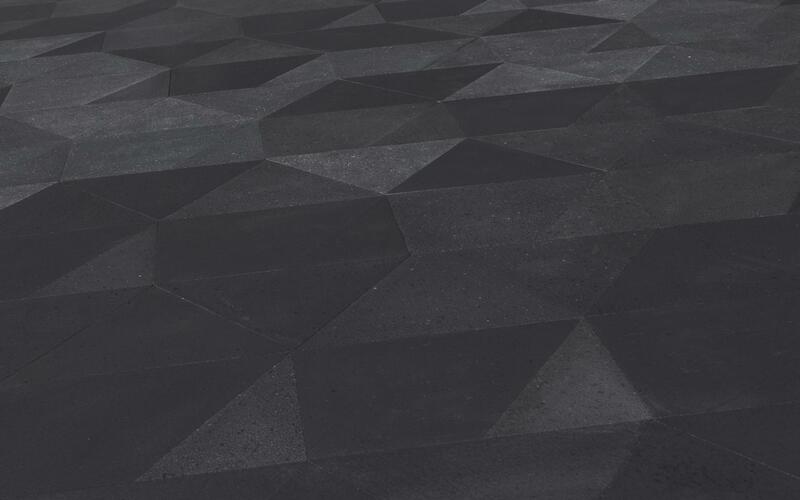 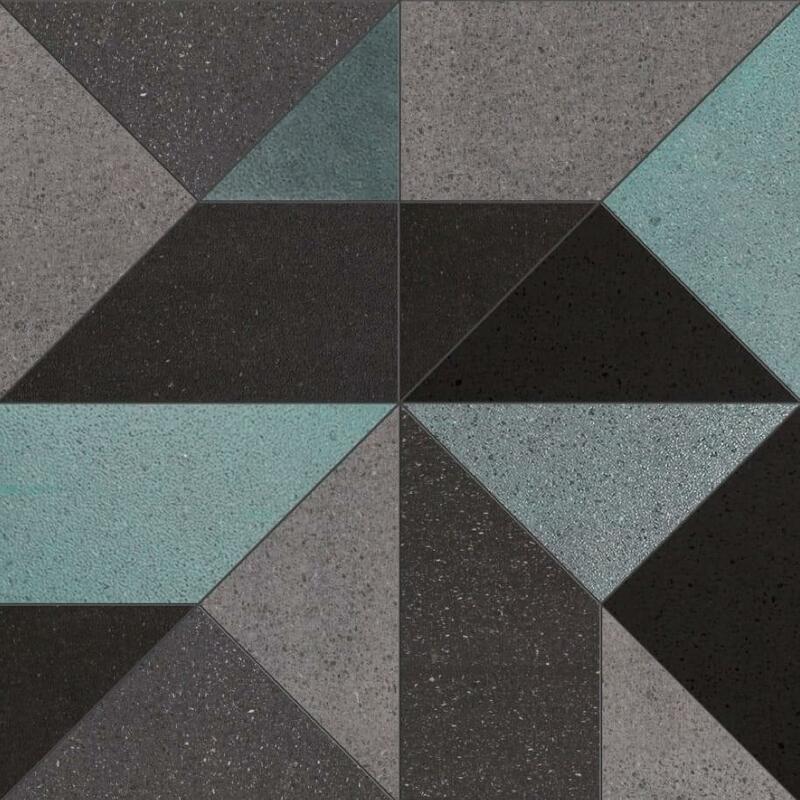 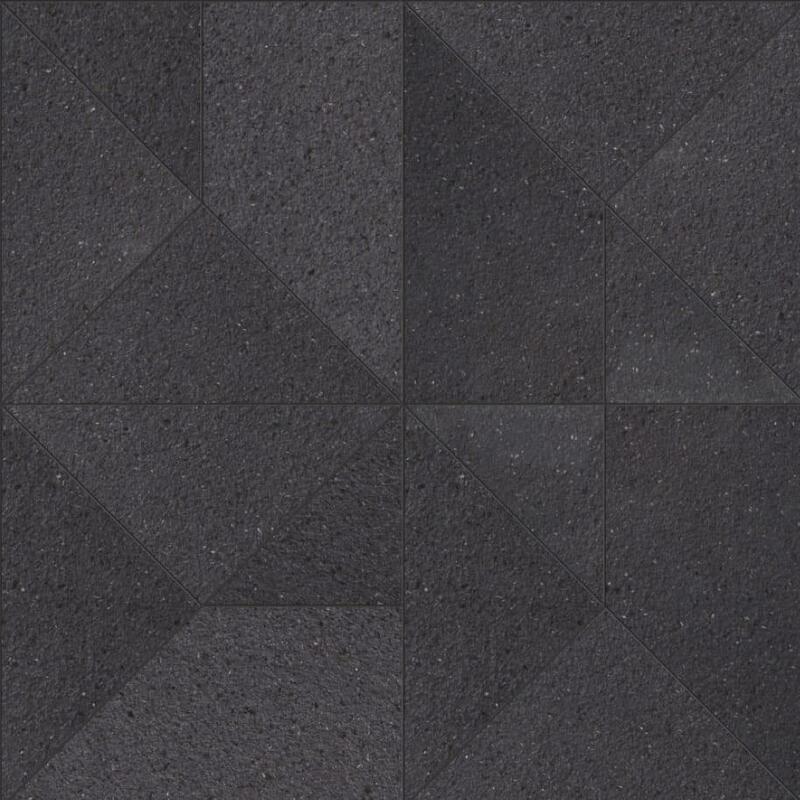 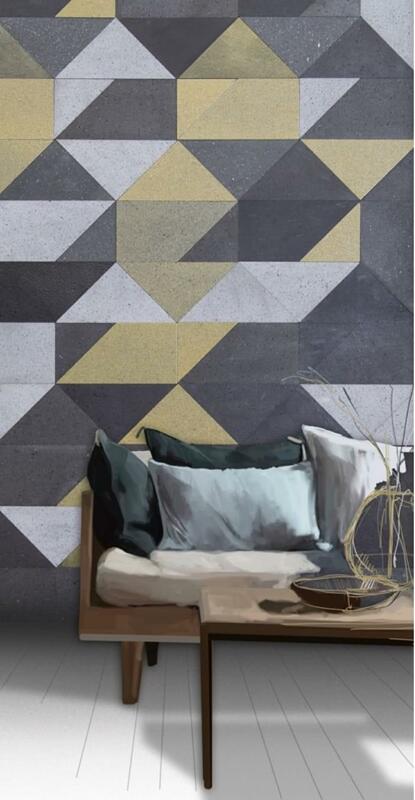 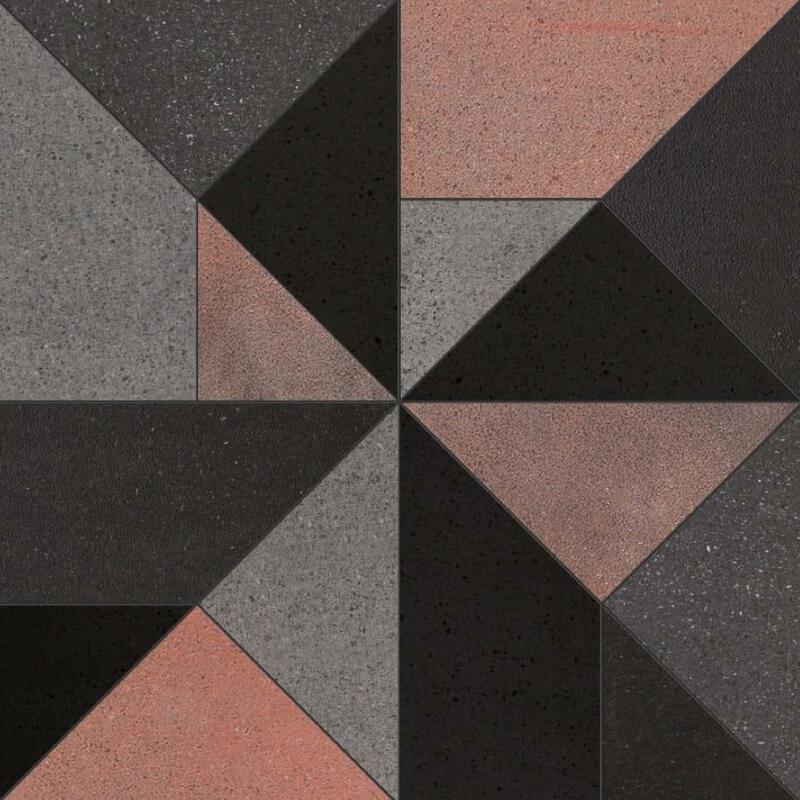 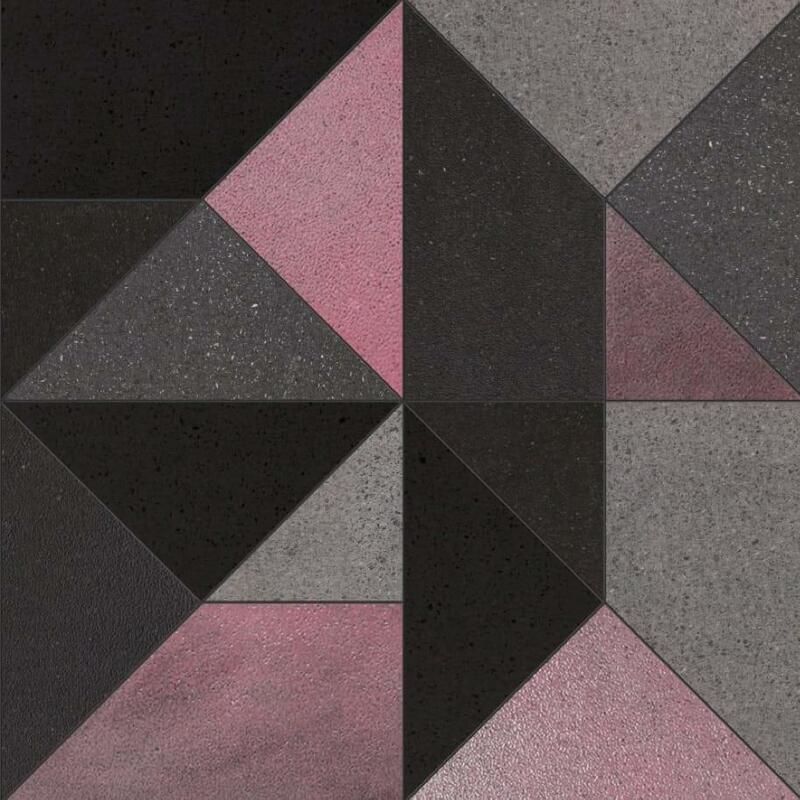 Triangles and trapezoids recombine to reveal new layouts, with different hues and textures that create depth. 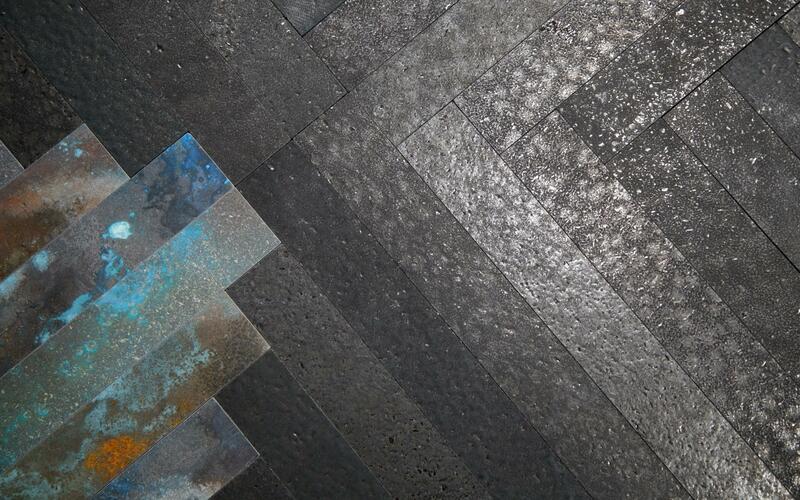 Possibilities and combinations become endless with Colourfield, the colours obtained through a recycling process of end-of-life TV and PC monitors. 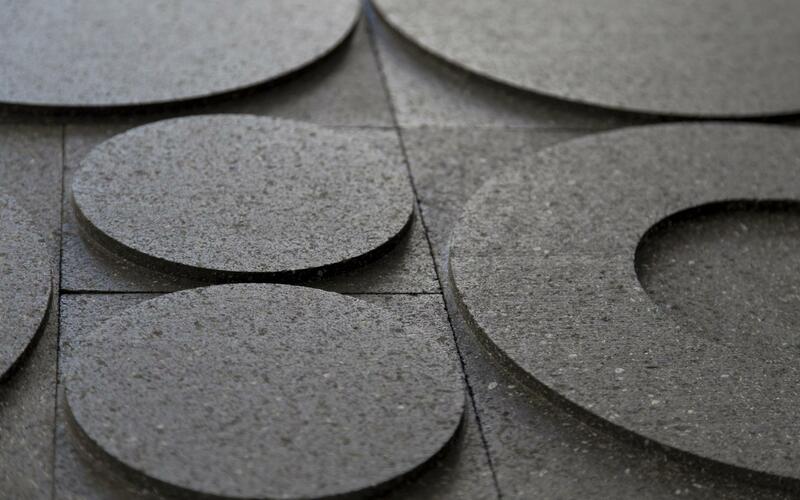 Multiplem is an original design by Massimo Barbini and Giovanni Salerno atjpeglab. 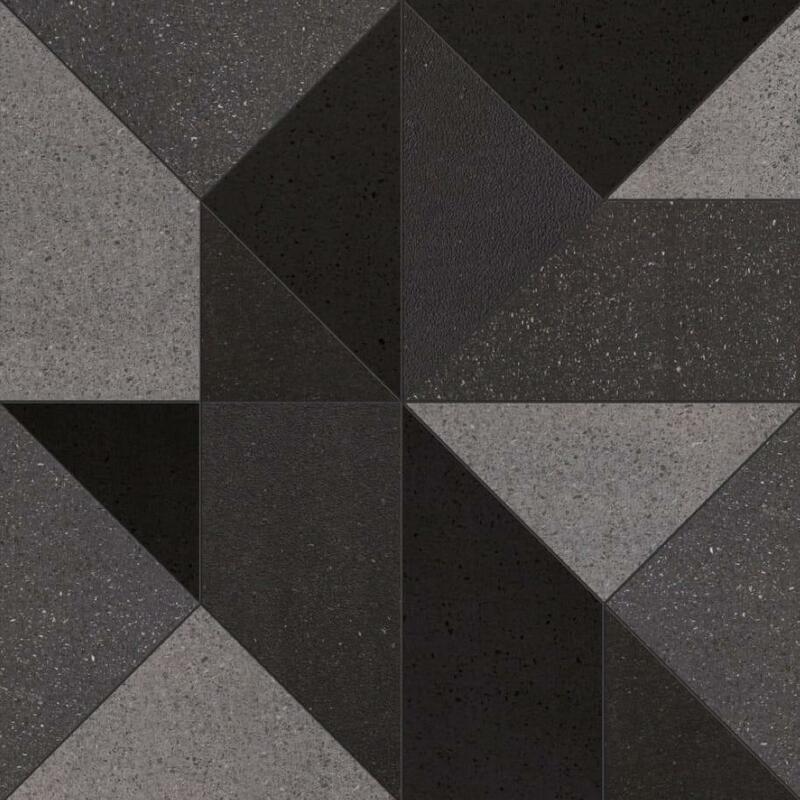 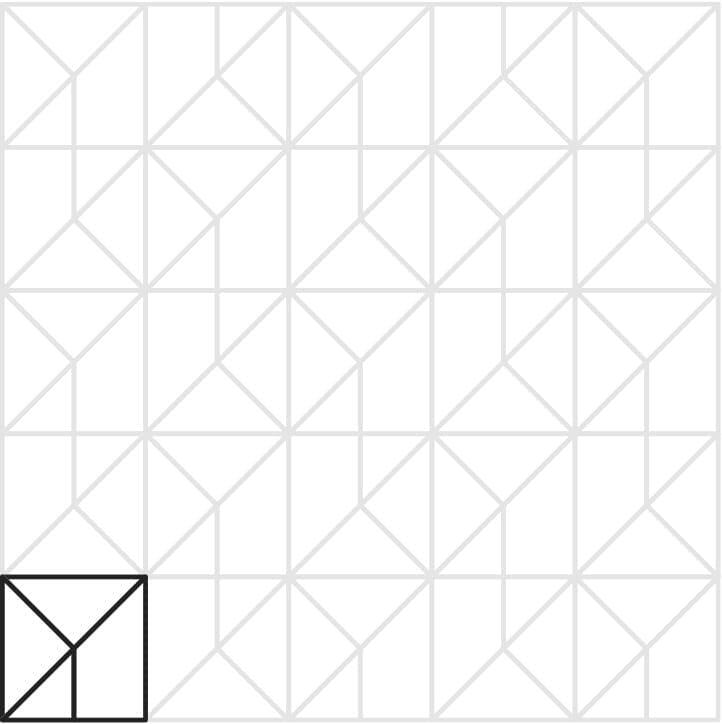 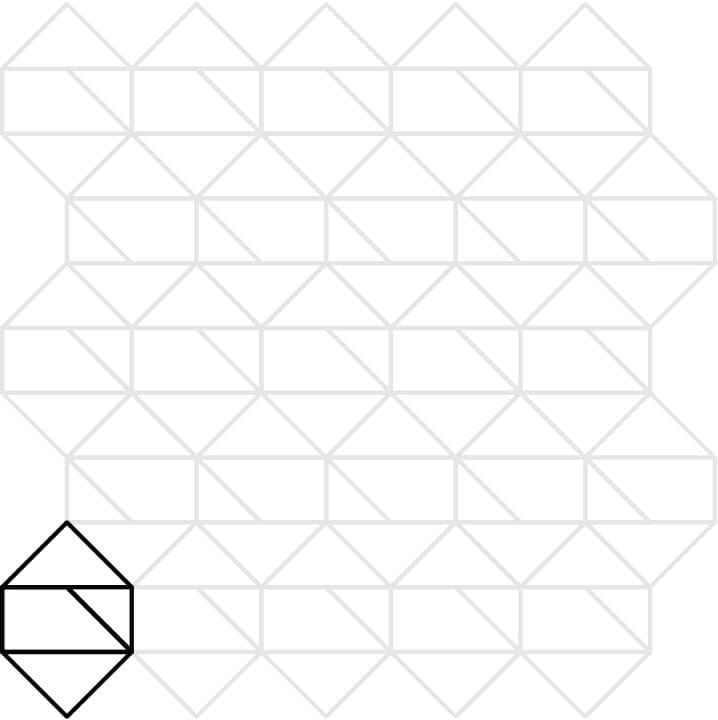 The sizes and colours available can be recombined in 16 new geometric layouts, for an enhanced freedom of expression. 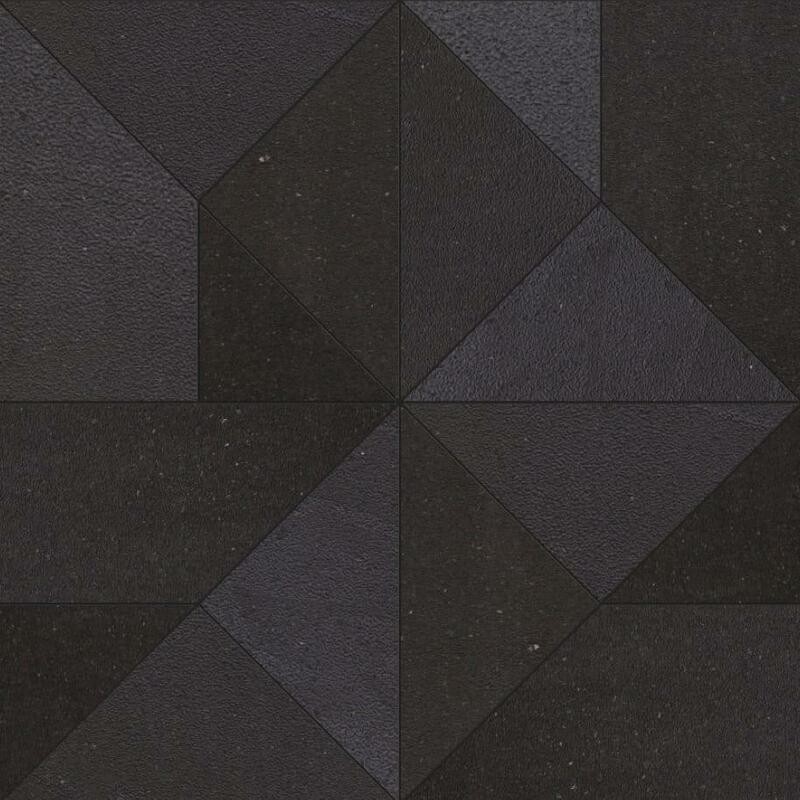 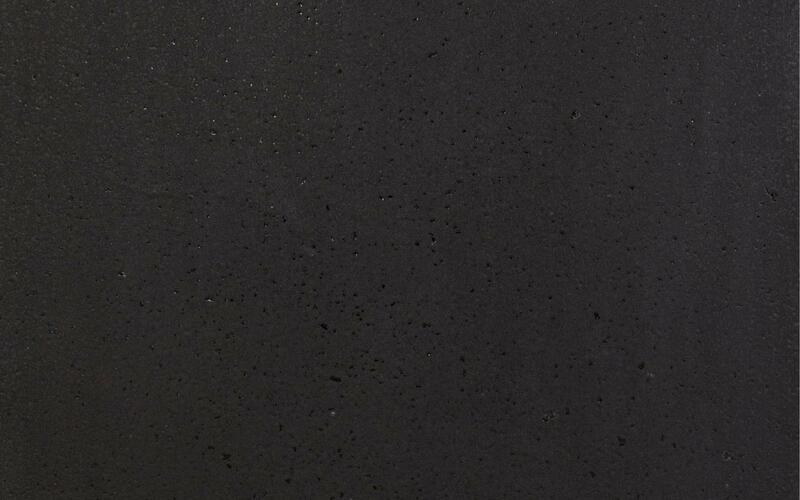 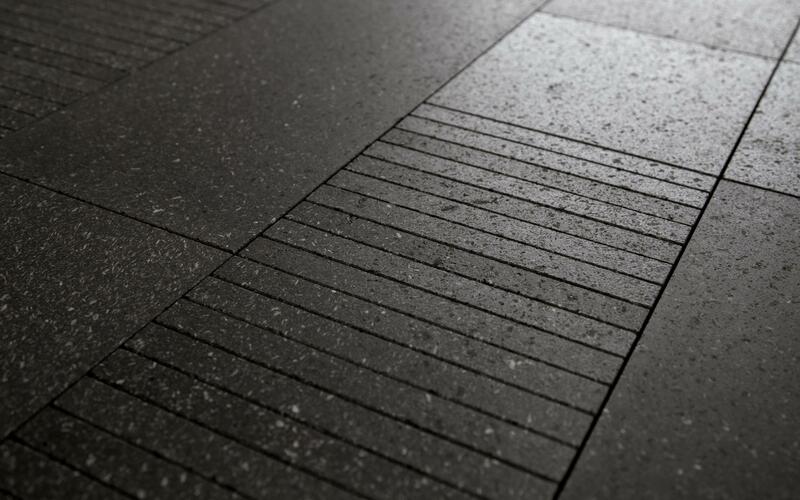 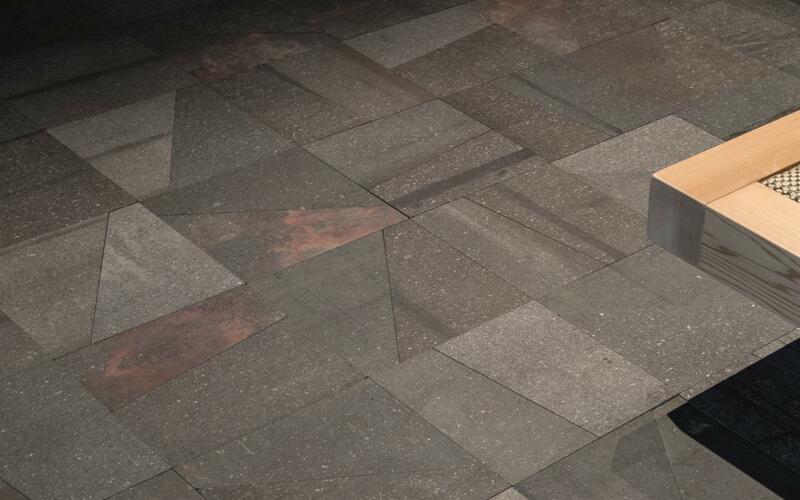 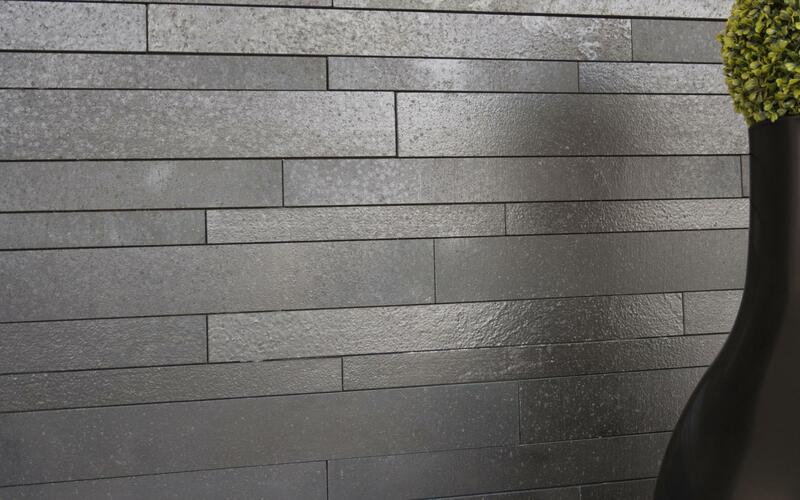 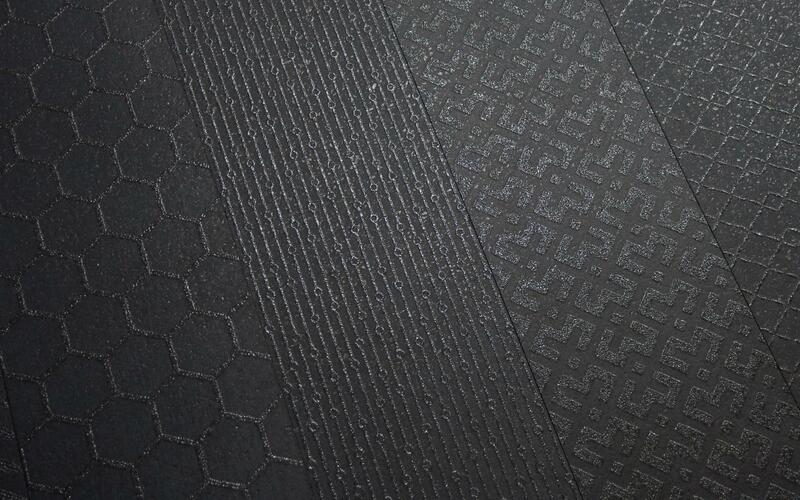 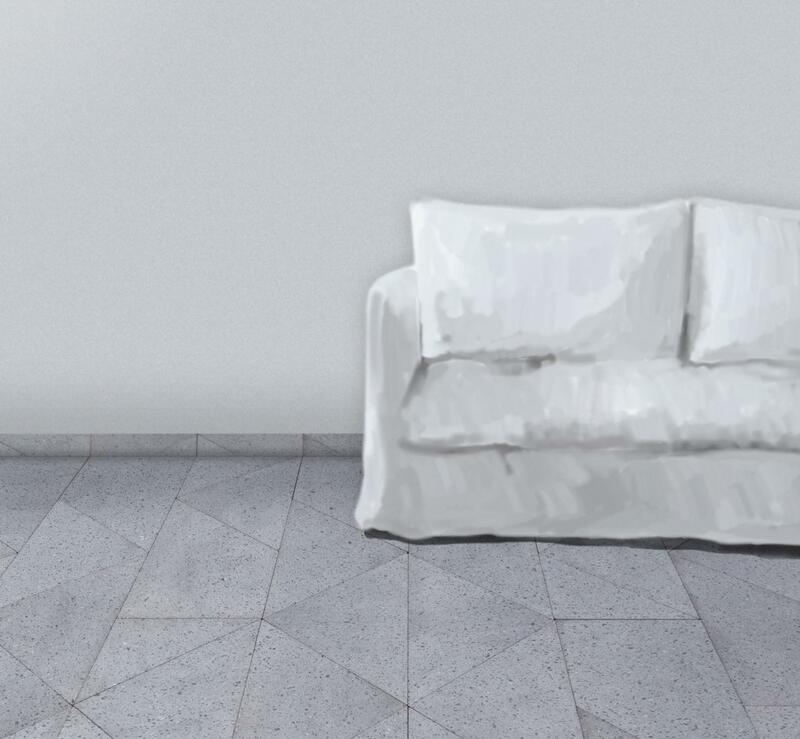 A collection designed by Piero Lissoni playing with the chromatic variations of basalt.